Stonehenge, a prehistoric monument located near Salisbury in Wiltshire (England), is a Wonder of the World Runner-Up and World Heritage Site. 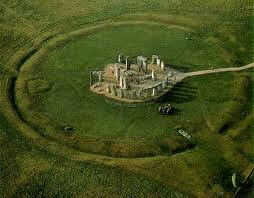 The site has been of cultural significance for 7,000 – 8,000 years. The earthworks and ditch (the oldest sections of the monument dated to 3100 BC) surrounds a circle of large standing stones and the site of several hundred burial mounds. 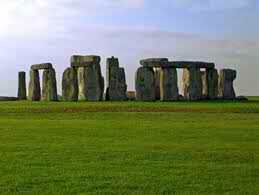 It was constructed in three phases of Bluestone, Sarsen, Welsh Sandstone. The blue standing stones (erected 2200 – 3000 BC) are the oldest part of the monument. The Stonehenge Riverside Project identified the area as a burial ground far in its shrouded past. The true significance of the monument remains unknown. Proposed possibilities include a temple for sun or moon worship, a healing center, a calendar or a burial site. 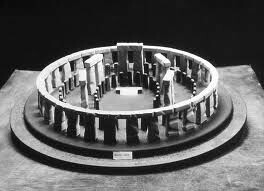 Early British investigators attributed the monument to Druids, however, the construction of Stonehenge predates the Druids by a couple of thousand years. Recent investigations have identified a large timber circle (oriented to the rising sun on the midwinter solstice) at Durrington Walls overlooking the River Avon and a second avenue leading to the Avon River, two miles away. Evidence of bonfires lining the Avon River and the avenues indicates a connection between the two. It has been suggested that Durrington Walls with its wooden henge was of the living and the cold stones of Stonehenge were of the dead with the avenues and rivers connecting the two along which processions were held. 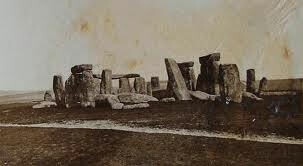 Today, the Stonehenge monument is closed to visitors around the monument which is maintained by several groups.